Are you looking for an opportunity to make a difference in the life of a young person right here in our community? Sign up to be a Volunteer Mentor! Mentors empower young people (ages 14-25) who have or are aging out of foster care to make healthy life choices. Mentors provide one-on-one role modeling, supportive guidance, and encouragement. NMCAN created this opportunity seven years ago because young people who aged out of care told us they simply wanted to connect with someone not paid to be in their life, someone who will always have their back. Mentors do not replace parents or caregivers, but are consistent friends, always ready to listen and be those who Mentees can talk to without judgment or ridicule. They support Mentees in developing healthy one-on-one relationships and encourage them to discover and follow their dreams. Learn more about becoming a Mentor by completing this form or contacting Community Engagement Coordinator Elena Fletcher at 505-217-0220 ext. 1009 or elena.fletcher@nmcan.org. Read about Mentor Anne and Mentee Megan who are celebrating six years as chosen family. 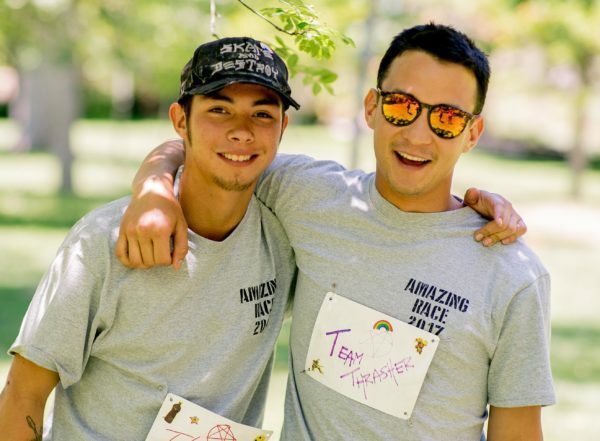 And check out Mentor Greg and Mentee Curtis on KRQE’s New Mexico Living!